I did it. I finally started doing some exercise. A combination of looming mortality and an upcoming stag weekend involving some mountain biking finally persuaded me to get the old pushbike out and start pedalling. The bike was an obvious choice; I always hated running further than 200m (I was a sprinter at school,you see) and team sports are always dependant on organising yourself to other peoples’ schedules. I used to cycle everywhere as a kid. 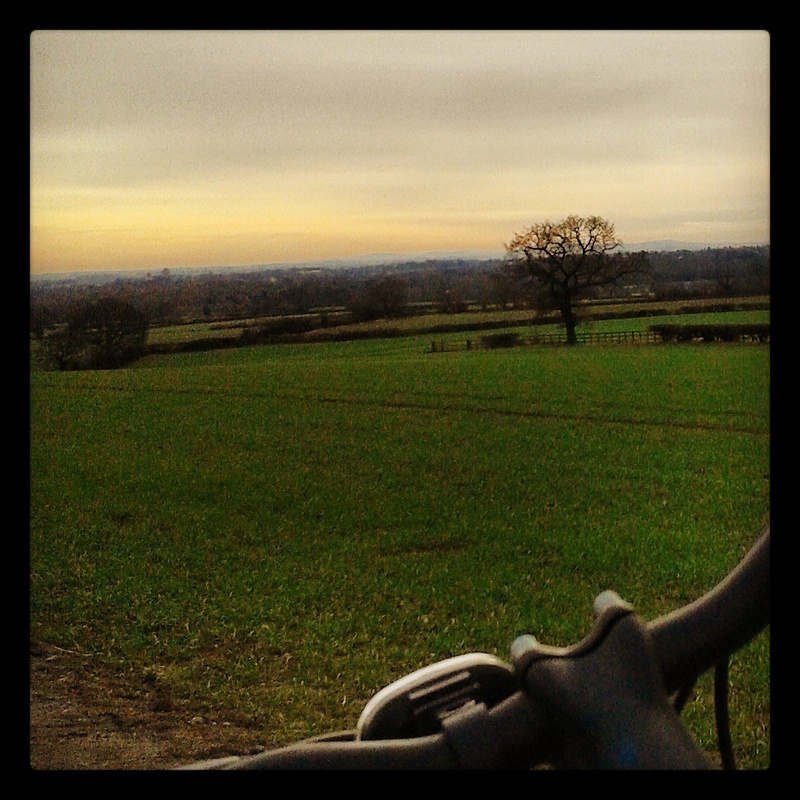 In the school holidays I would think nothing of cycling to my grandparents house in Nottingham, staying for lunch and then cycling home again – a round trip of around 35 miles. So, I lifted my cheap, heavy mountain bike down from the hanger in the side entry (where it had sat pretty much untouched for the past 7 years) hosed it down and got it road worthy. I planned out a 10km route and hit the tarmac. On that first ride out I learned three important things. Firstly, I was unfit. To be fair, I knew this already; the pain in my lungs and legs just reinforced this fact. Secondly, cyclists wear those silly padded shorts/tights for a reason; I now knew the true meaning of the terms ‘saddle sore’ and ‘chafed inner thighs’. Thirdly, I didn’t realise how much the music I listened to on my ride affected my performance and state of mind. I had a load of songs randomly downloaded onto my phone playing through my ear buds and I found that on one particularly nasty uphill stretch the song ‘Somebody Told Me’ by The Killers really helped me tackle the climb. The lactic acid build up in my quads still hurt like hell, but as I pedalled in time to the beat the music took my mind off the pain and the tempo helped me settle into a rhythm. I went online and looked up the beats per minute (bpm) of’Somebody Told Me’ and found it to be 138. This, I figured, was the natural rate (or ‘cadence’ in cyclists terms) that I turned the crank, ie. 70 revolutions per minute (are you still with me?). I then found website called https://cycle.jog.fm to search for other songs around 140 bpm. 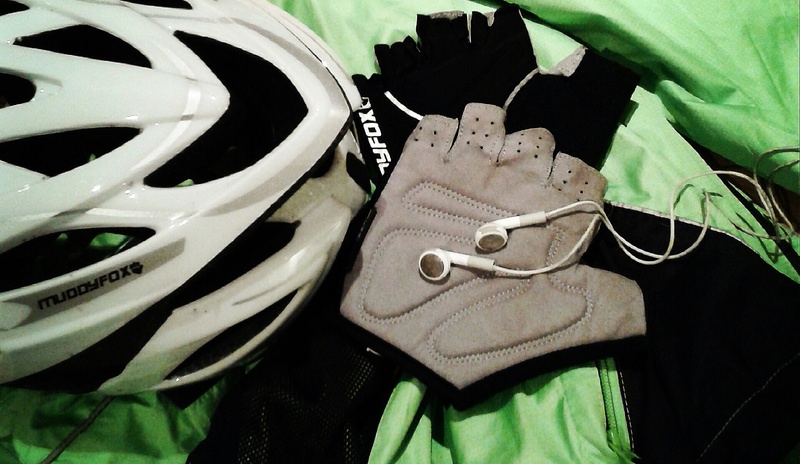 Next I downloaded those songs that I had in my music collection onto my phone, made a cycling playlist out of them and hit the road again (kitted out in some newly appropriated suitable gear). Now we were talking! The song selection had two positive effects on my performance. Firstly, the tempo helped me keep my natural cadence of 70rpm. Secondly, as these were songs from my collection that I knew and loved, I had some sort of emotional connection with them, and this motivated me more and distracted me from the discomfort felt when pushing myself. I won’t bore you with all the performance details as there are far better blogs on exercise than my fledgling efforts (please check out my friend Malcolm Bradbrook’s excellent blog at http://mbradbrook.blogspot.co.uk where he is currently training for the London Marathon), but two weeks and 5 rides later I had knocked a whopping 11 minutes off my 10km route time. I’m now getting some off-roading done in preparation for the mountain biking weekend in Wales (there are some excellent bridle paths and woodland tracks nearby to hone some MTB skills). 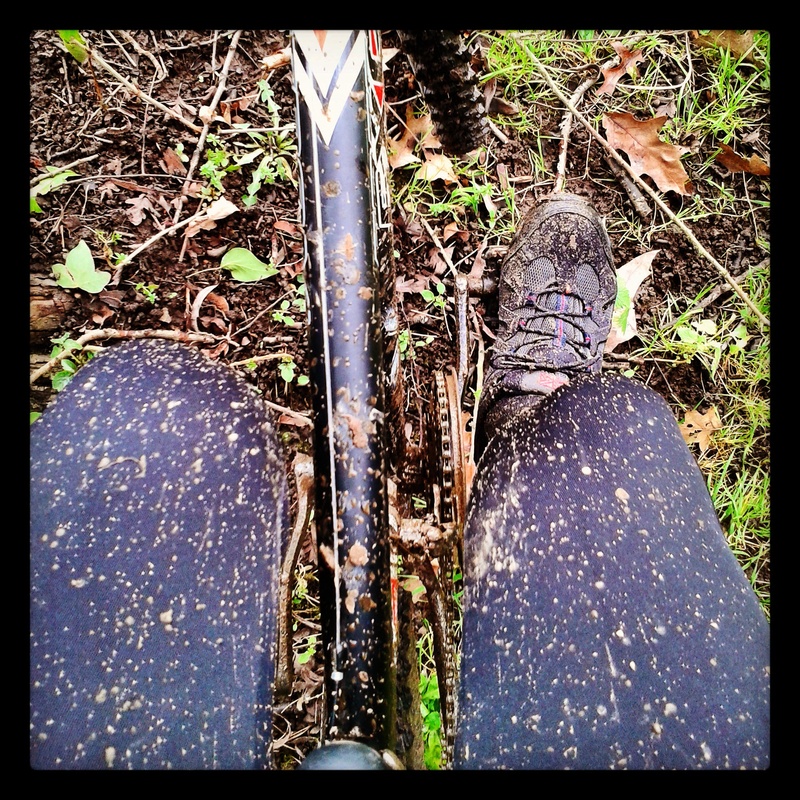 You just can’t beat battling your way through some rutted horseshoe-imprinted tracks, getting plastered in mud and then bombing downhill on a country road with the chorus of ‘Go Your Own Way’ by Fleetwood Mac blasting in your ears (137bpm FYI). Three and a half weeks into this cycling lark and I think I may have caught the bug; I managed 52km (32miles) in my three trips out this week. I knocked another 57 seconds off my 10km circuit in the process, with the help of Elvis Costello and the Attractions who started playing ‘Pump It Up’ (140bpm) just as I was starting the last leg-destroying climb up Duffield Road from Five Lamps towards the end of the circuit. “Let’s f#*@ing do this Elvis” I screamed at no one in particular at 6.30am on a dark, cold Saturday morning. This entry was posted in Uncategorized and tagged Cycling, Elvis Costello, mountain biking, MTB, Music, Pump It Up by leonwilson12. Bookmark the permalink.